Dropbox Cloud and Opinion on Future Development of Music Service started after Dropbox Acquired Audiogalaxy, a free Streaming music storage service. 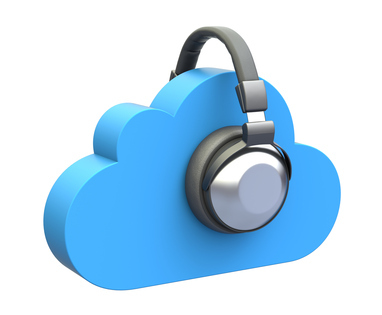 Let us dig in to the matter of Dropbox Cloud and this Music Service. Dropbox has now acquired the Seattle based music service named AudioGalaxy, as announced on press latter. Details of the transaction were not released, but judging by the type of acquisition, it seems that Dropbox has serious ideas relating to the field of media. Audiogalaxy team has built an application for file sharing and a mobile music service similar to Pandora streaming. Official note was like, in recent years they has built wonderful musical experience on the web and on mobile devices, attracting loyal users to the service in the world. They are excited to join the group of Dropbox and bring new experiences to more than 100 million Dropbox users. Audiogalaxy has stopped accepting new sign-ups. The playlists built by their users will only be available until end of this year, and the rest of the service will be closed in 2013, which indicates that the team will work on Audiogalaxy as a product of Dropbox. Audiogalaxy was one of the pioneers of sharing of music, combining a web interface with a P2P client. The service was shut down in 2002 due to a lawsuit by the music industry. The team Audiogalaxy went forward, however, even in the face of these difficulties by creating FolderShare, a file sharing service similar to Dropbox, acquired by Microsoft in 2005. The core team of Audiogalaxy is then released by Microsoft in 2008 and worked once again to its music service focused on the possibility of a file sharing which was however, never launched. Eventually the company decided to concentrate again on a music streaming service that would send the mp3 from the hard drive of a user to mobile devices. It is quite difficult to predict what will be the features of the service as both of the companies do have good past history of innovative way of development. But it is sure that there will be a free tier. This Article Has Been Shared 9760 Times! Cloud Computing Free Model allows the end users to use or test premium software and services with some limitations. It is a business model to combine free software approach by premium brands. Cloud Computing Hosting Providers mostly have dedicated own infrastructure, technologies.It is important for the customers which brands have own infrastructure. Installing Drupal on Rackspace Cloud Sites is a bit tougher than installing WordPress or even installing Magento for the beginners. Top Cloud Computing Vendors consists the name of the companies who has acceptable quality in the field of Cloud Computing as SaaS,IaaS or PaaS provider. Cite this article as: Abhishek Ghosh, "Dropbox Cloud and Dedicated Music Service," in The Customize Windows, December 27, 2012, April 25, 2019, https://thecustomizewindows.com/2012/12/dropbox-cloud-and-dedicated-music-service/.